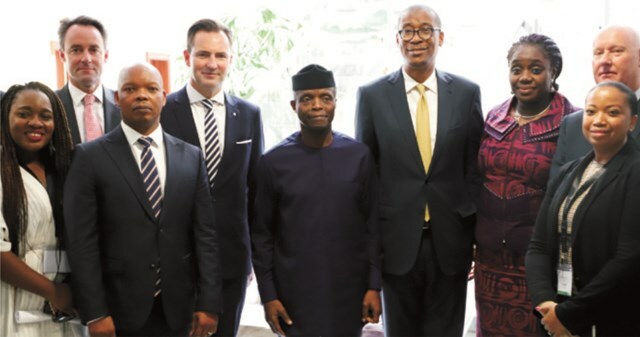 L-R: Head of Corporate Development and Strategy, UBER, Mimi Omokri, Senior Advisor, ACTIS, Simon Harford, Chief Executive Officer, Deloitte Africa, Lwazi Bam, Chairman of Volkswagen Group, South Africa, Thomas Schaefer, Vice President Yemi Osinbajo, Minister of Trade and Investments, Dr. Okechukwu Enelama, Minister of Finance, Mrs. Kemi Adeosun and General Manager, Sub-Sahara Africa, Nissan Group of Africa, Liz Segal, after the meeting of the Federal Government with world-class automobile manufacturers at the Presidential Villa in Abuja, recently. The member representing Andoni/Opobo/Nkoro Federal Constituency in the National Assembly, Hon. 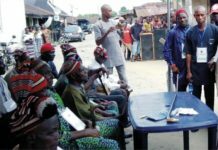 Awajinombek Abiante has presented various empowerment materials worth millions of Naira to 160 indigenes of the constituency. 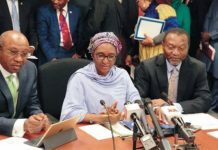 The items presented include, hair driers, sewing machines, motorcycles, grinding machines, rice milling machines, among others. 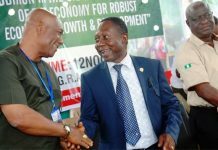 Speaking at the distribution ceremony at Ngo, headquarters of the Federal Constituency, Abiante said that the occasion was in fulfilment of his campaign promises to the people. He said that his office has embarked on various skills training programme for the people while some basic household products have been donated to the constituents. 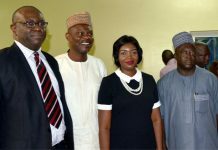 The lawmaker, who had earlier commissioned an Information and Communication Technology (ICT) Centre at Ngo, said that four secondary schools in the constituency have been equipped with computers. He listed the schools as Government Secondary School, Ngo; Government Secondary School, Asarama; Government Secondary School, Ataba; and Government Secondary School, Opobo Town. Abiante said that the issue of security at Oyorokoto was being given serious attention with the approval of Marine Division of the Nigeria Police by the government in the community, while a bill for the establishment of the Institute for Cooperative and Marine Studies (brackish water) at Ngo would soon be passed into law. He said that a proposal for the establishment of King Jaja Historical Tourism Centre has been presented to the Federal Ministry of Information and Tourism. The lawmaker said that the voice of the constituency would continue to be heard in the House. Also speaking, Chairman of the occasion, Senator Adawari Michael Pepple said that it was the first time the constituency was experiencing quality representation. 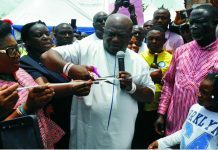 He urged the lawmaker not to relent, as the people of Andoni and Opobo/Nkoro would continue to support him.